Easy Canvas Prints (Global) Now Live on Affiliate Window! Easy Canvas Prints (Global) is now live on Affiliate Window! Easy Canvas Prints lets everyone turn their treasured photos into works of art. In an easy 4 step process your visitors will be able to get their photos printed on high quality canvas, professional stretched over a wood frame. 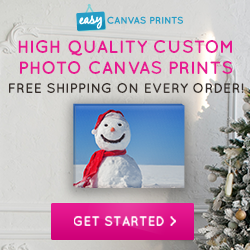 Please email julianne.mccamy@affiliatewindow.com with any questions about the Easy Canvas Prints program.